Wow! How long had this drawer been here? 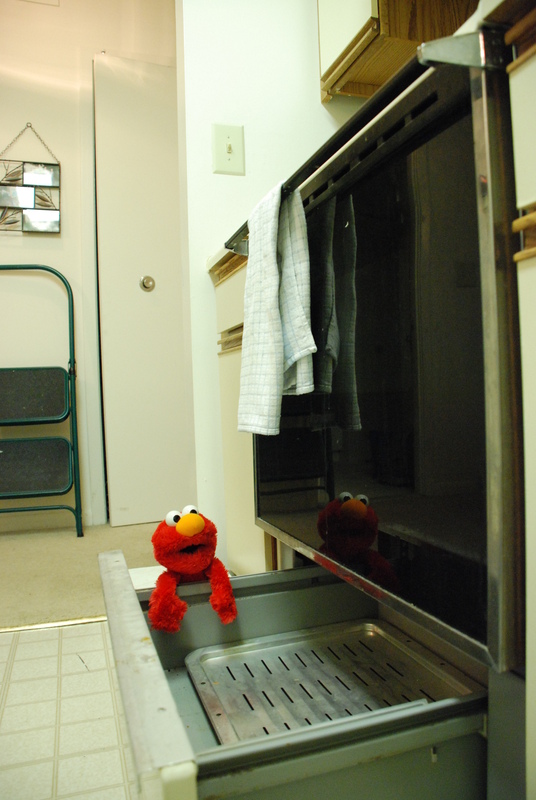 Three years Elmo had lived in this apartment, and never once had he noticed that there was a drawer under the oven! Was he merely unobservant or was he just an idiot? Did all stoves have drawers underneath? Had his previous apartment had one? There was some metal thing in it, too, presumably for cooking something in the oven. Did all oven drawers have this piece of metal? Or had the previous tenant left it there? What else hadn’t he noticed in his apartment? Gosh, this just opened up a whole new world of storage options!